New Year’s Eve is a tricky holiday if you ask me. You’re either single, in which case you might get all dressed up, go out, spend lots of money, and possibly be left awkwardly checking your phone or having to pretend to go to the bathroom around midnight, or you’re in a relationship in which case after all the holiday mania the thought of staying up until midnight in a crowded bar with a lot of strangers holds little appeal. 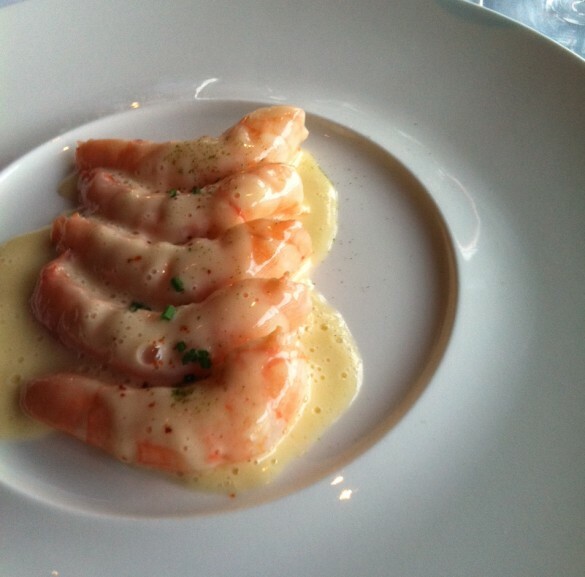 Peter Canlis Prawns: Sauteéd in dry vermouth, garlic, red chilies, and lime. I’ve had my fair share of both of the aforementioned scenarios, and some other good, bad, and ugly New Year’s Eves in between. Which is why I now love nothing more than getting a small group of friends together for an Elegant New Years Eve dinner party. It’s an excuse to set a beautiful table, make a dinner of special dishes, luxuriate over wine pairings, and yes, put on that sparkly shirt you can only wear once a year. All those fussy things you skip the rest of the time (signature cocktails, multiple courses, cheese plates) suddenly have a purpose and when shared over spectacular food and even better conversation, it’s hard to imagine anything better. 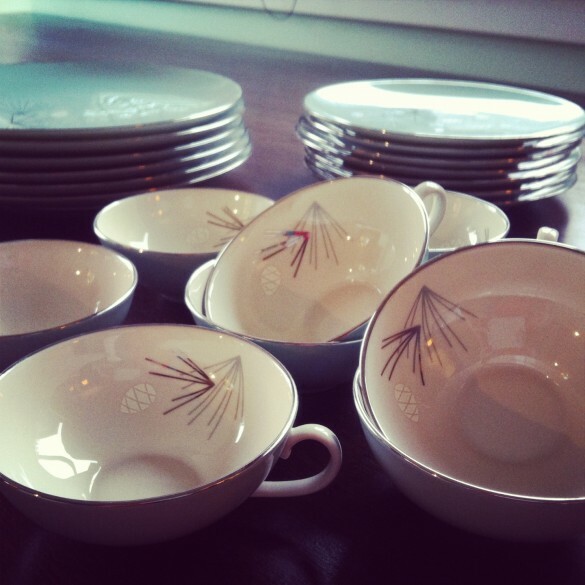 I certainly don’t have 40 matching plates, so enjoy mixing and matching. This Elegant Five Course New Years Eve Menu has something for everyone, but is made possible by the number of elements that can be made ahead. Yes, the chef does have to pop up in between to put the finishing touches on each course, but it allows a chance for the next bottle of wine to be opened, dishes cleared, and breaths caught. What will you be doing for your New Year’s Eve? Signature Cocktail: French 75s – A positively celebratory way to kick off the evening. Many people have never heard of this drink, but I’ve never met a person who didn’t like it after trying it once. In a cocktail shaker with ice mix 1 1/2 oz Gin, 2 oz lemon juice, and 2 tsp of sugar. Pour into champagne glass, top with champagne and finish with lemon twist. First Course: Peter Canlis Prawns – Sautéed in dry vermouth, garlic, red chilies, and lime – Shrimp cocktail may be the stalwart of Holiday Parties, but after trying the famous prawns from Canlis, you will never want to go back. The shrimp can be par-cooked in advance, as well as the butter assembled and then you may finish them by reheating the butter with the shrimp in it and serving. Second Course: Arugula Pear Salad with White Truffle Vinaigrette – I made this for my friend’s Erin and Liesel once and they have never stopped requesting it since. The combination of salty arugula, bitter frisee, juicy pear, and finger licking white truffle vinaigrette make it a perfect second course. Everything can be prepped in advance, including the dressing, and then quickly dressed, tossed, and plated for service. 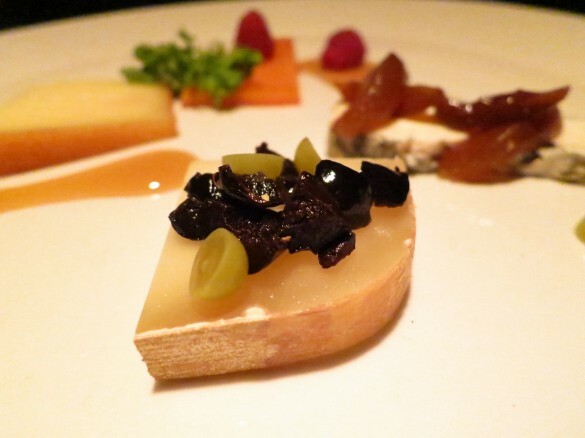 Third Course: Cheese Plate – There is something undeniably decadent about a cheese course. The beauty of this is that it’s also a great way for your guests to partake in the meal. Ask each to bring their favorite cheese and then simply finish with a bit of fruit or chutney. The perfect third course for your New Years Eve Menu. Fourth Course: Seared Foie Gras on Toasted Brioche with Strawberry-Mint Reduction – I know foie gras is morally wrong and people are offended by it, but I love it, so this year I’m throwing caution to the wind and going to make it myself! This will be a first attempt, so stay tuned for the recipe on this one! Fifth Course: Vanilla Gelato Topped with Salted Caramel Sauce – I made this as holiday gifts this year and it must be the Christmas miracle that there is any left because I am mildly totally addicted. It’s good with ice cream, but with Gelato? It’s hard to imagine anything better. Recipe coming soon! I love a simple dinner party on NYE. So much better than going out! Those prawns look absolutely divine! Thanks Valerie! I couldn’t agree more. What will you be doing this NYE? Cheese plate is a must for any celebration. I just can’t seem to stay away. Happy New Year! No doubt, Sam. Everything is better with a cheese plate. In fact, our cheese plates were so grand, we only made it through 4 of our 5 courses! Why thank you Albert! What did you do for New Years Eve in Italy? What an elegant meal — and truly decadent to serve foie gras after the cheese! I just learned about Peter Canlis from watching Top Chef and loved reading your post about your meal there. All 5 courses sound delicious! Happy New Year!! Thank you! It was a very fun evening indeed. You too darling! Date soon please?? This entire dinner looks amazing. And a cheese course…I’m in heaven. I love the idea of entertaining on New Year’s. Thanks Meghan. The cheese course was so good, we never made it to the last course! Ooops! Thanks Mimi! It’s a treat to have the time to plan a full menu. Not for every weekend, but fun when I get the chance! What a beautiful dinner! I agree, a dinner party with friends is the best way to celebrate. I adore French 75s! 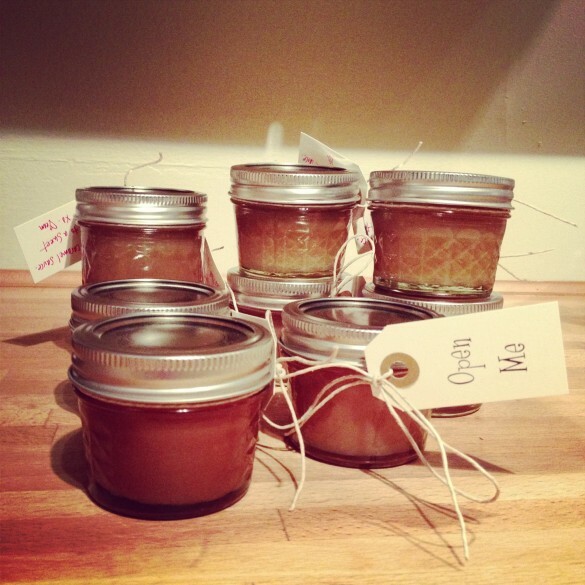 And I can’t wait to see your Salted Caramel Sauce recipe…pure decadence. Wishing you a happy, healthy, delicious 2013! A fellow French 75 drinker?! I know what we’ll be ordering at the next Foodportunity. 🙂 The Salted Caramel Sauce is indeed delicious…had some atop vanilla ice cream this weekend and had to contain myself from licking the bowl clean. Here’s to a great 2013, both in and out of the kitchen! Thanks lady! A fun way to end the year! I love that I got to eat everything I just saw in this post. Yay for my invitation, and lucky me to have you as a friend! Then the Canlis Prawns, the Pear Arugula Salad and then a cup of the roasted cauliflower cheddar soup. Going to end with Pirouette cookies to dip into salted Carmel whipped cream & a little chocolate sauce on the side…….And some fabulous champagne of course. Ginny, what a sweet note and thrilled to hear this will be inspiring your dinner! Can’t wait to hear how it turns out. Cauliflower cheddar soup sounds divine. Please share the recipe here if you like. The soup is adapted from Closet Cooking’s site and a version with gruyere from Comfort Food Goes Chic..